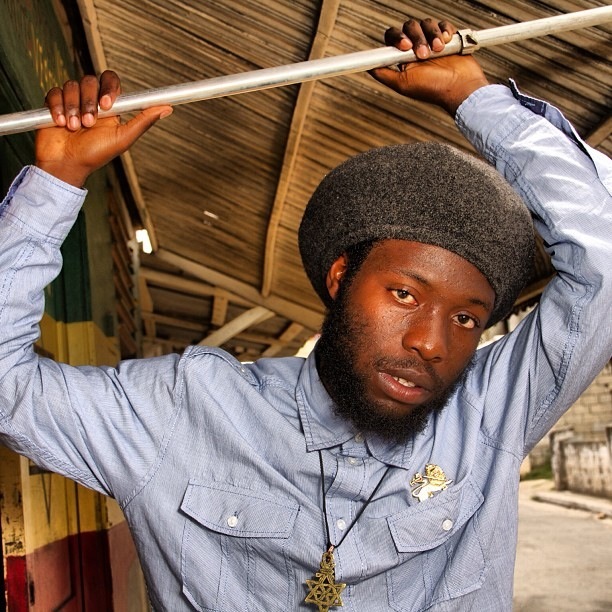 Iba MaHr is another young sensation for authentic Jamaican reggae/ lover’s rock genre. Born January 21, he was given the name Mario Greaves at birth but has emerged with a strong sense of African culture, thus granted the name by friends, Iba MaHr. ‘Iba’ African name, meaning Humble and Calm while ‘MaHr’ is really an acronym, meaning Mario of Harar, Harar which is a small province in Ethiopia. As a toddler, Iba was nurtured by his grandparents in the Community of Cheesefield. Always the centre of attraction, every Sunday evening he would dance to his grandfather’s stereogram, playing hits from the 70’s, while singing to each song as if they were of his era. It was not until he was successful in his Common Entrance Exam to go on to High School that he moved to reside in Linstead with his mother. Being the only child he was the main priority, with morality and education as her advocacy, leaving very little things undone if any. Now the young man chants from a small town in the parish of St. Catherine called Linstead, that is most popular for the famous “Linstead Market” and the Song titled, “Carry Me Ackee go Linstead Market”. In 2008, Max ‘Romeo’ Smith of CHARMAX MUSIC released his first song, “HAD IT &; LOST IT”, for a various artiste album titled, “DEVIL ON DI RUN”. Later, Phillip ‘Fatis’ Burrell of XTERMINATOR PRODUCTIONS released his second single, “WHERE YOU ARE”. The young sound has also work with great producers and record labels such as, UIM Records, Marlon McCubbin, Bizzarri Records, Jermaine “Lenky” Edwards and more recent Roland “Rollie” McDermot of Rollins Records. The artiste was able to survive the many dangers and harm of his volatile community through advocating love, peace, righteousness and spiritual consciousness. As his name represent, he is quite humble, and does not let anything or anyone trouble his innate calm. With Rastafari as his inspiration, roots and culture is always what he promotes, along with social commentary and soulful-reggae love songs that speaks out to the hearts of people, those in love or out of love. Iba MaHr’s music ranges from reggae, lovers rock and soulful roots genre. Give heed to the voice, message, and what reggae music has to offer in the future.